Has it been a long time since you last had your teeth cleaned? Routine professional cleanings by a dental hygienist are an important part of keeping your smile healthy. Coming to our office on a regular basis for a cleaning and an oral exam can help to keep your smile free from the damage of tooth decay and significantly reduce your risk of developing periodontal disease. Remove plaque and dental calculus (tartar) from your teeth – When plaque and tartar are allowed to accumulate on the teeth, it can raise your risk of developing tooth decay and gum disease. In a professional cleaning, we use special tools to remove tartar (which cannot be removed by brushing) and to reach areas that are difficult for you to clean during your normal brushing and flossing. 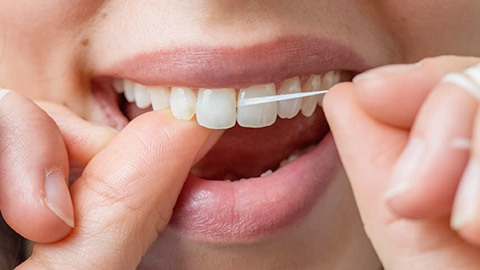 Floss and polish your teeth – This helps to remove surface stains from your teeth and gives you a bright, healthy smile. Examine your mouth, teeth and gums – We will check for signs of tooth decay, gum disease, oral cancer and other forms of damage or infection that may need treatment. Based on the exam, we may recommend further treatment to improve your oral health. We may also take X-rays of your teeth and jaws for a more in-depth view of oral health. Your regular visits to TranscenDental Group are an ideal time to ask us any questions you have about your oral health or dental hygiene. We are always happy to answer your questions and help you better care for your smile. We can also assist you with personal dental health issues such as choosing a proper toothbrush, brushing and flossing techniques, and proper diet. To schedule your next teeth cleaning in Dartmouth, Nova Scotia, we welcome you to contact our office today.